Funny post on German blog “Trinklaune” by Robin Stein. 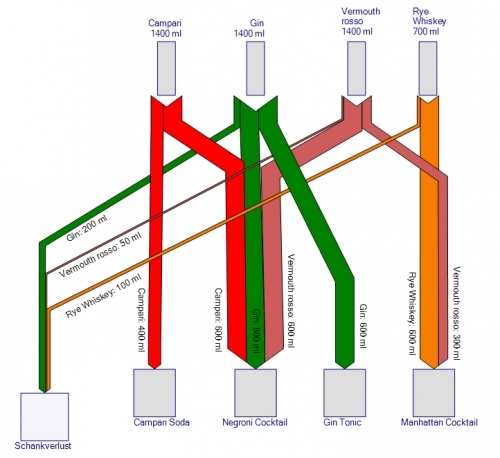 He suggests using Sankey diagrams to control loss of spirits in a pub. Apparently this was kind of a student project. Here we see the Sankey diagram for a Negroni cocktail made up from equal parts of Gin, Campari and Vermouth rosso. 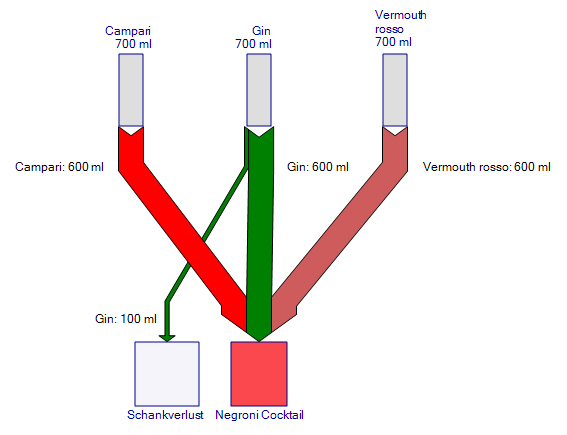 As we can see in this figure, losses can add up considerably in a bar that serves several drinks.